The 'Vagabonds' fly the F/A-18D(CR) under MAG-11 out of MCAS Miramar, CA. They have a long history, dating back to January 1943 flying F4U Corsairs out of Guam, then eventually in to A-6A Intruders. They were decommissioned in June '91, but were reactivated the next month to fly the Hornet 2-seat Combat Reconnaissance D-Model. This is the color version of their squadron patch. The 'Vagabonds' fly the F/A-18D(CR) under MAG-11 out of MCAS Miramar, CA. They have a long history, dating back to January 1943 flying F4U Corsairs out of Guam, then eventually in to A-6A Intruders. They were decommissioned in June '91, but were reactivated the next month to fly the Hornet 2-seat Combat Reconnaissance D-Model. This is the subdued version of their squadron patch and comes with velcro attached. 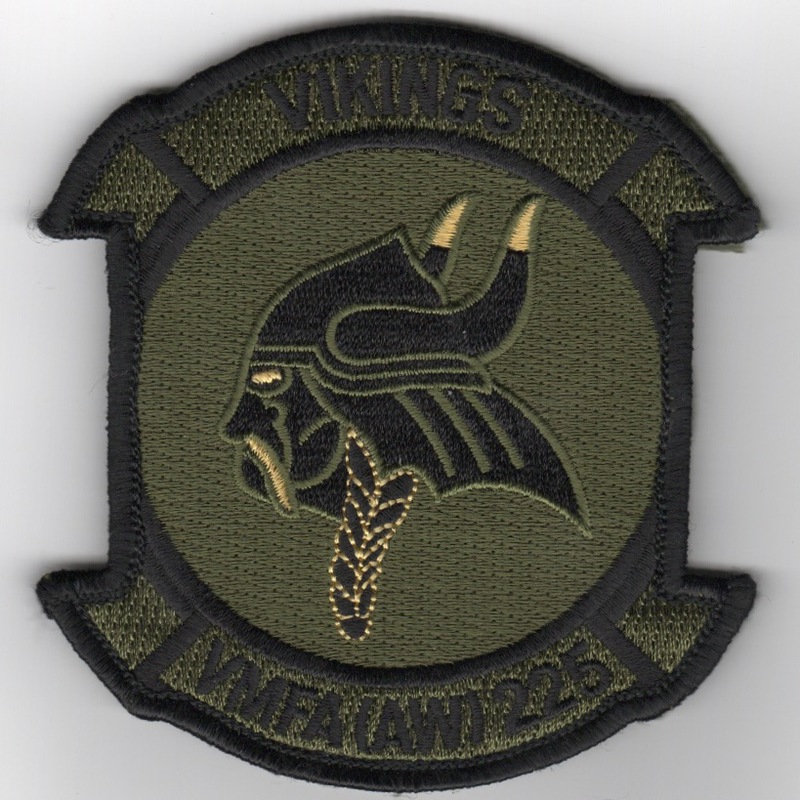 Homepage | Order VMFA(AW)-225 Patches!